The First and the Last! The Best and The Worst! The Great Screen Actors Guild has had a long and honorable history from the First SAG President Ralph Morgan, up and until the last Ken Howard! But, now SAG is a single entity no more. It has been knifed in the back by a group of SAG politicians, including the current SAG President, who have pursued a path of least resistance! Instead of standing up for SAG actors by enforcing SAG’s hard earned jurisdiction, Ken, and his gang of least resistance “Unite For Strength,” meekly stood idly by while AFTRA poached it. This was done successfully by a group of UFS “go along, to get along” board members and SAG staff (helped by eager producers) with a nefarious agenda to unite the two unions (AFTRA and SAG) at any cost pursuing the demise of the Screen Actors Guild. So to the question at hand, who will go down as the best president in SAG history? Well, it will come as no surprise that the OL’ Dog says Ralph Morgan, not only because he was one of those brave character actors who founded the Great Screen Actors Guild at great professional risk, but because he unselfishly gave up his position to a better known actor for guild credibility purposes. At the other end of the spectrum, Ken Howard, The SAG President who actively pursued the demolition of the Great Screen Actors Guild, and unfortunately succeeded. My prediction is that the day will come when struggling actors sit around lamenting the demise of the great union, residuals, and the long gone days when the mid range actor could make a livable wage. They will look at all the great SAG presidents with admiration, while disdaining those few who tried to sell them out, and the one who finally succeeded, KEN HOWARD. To view all SAG Presidents go to the following link. This link will take you to SAG History and a group photo of SAG’s founding fathers. In its first official meeting since performers created SAG-AFTRA, the new national board will meet in Los Angeles on May 19 – 20. The agenda for the 110-member panel has not yet been set. The board — populated by members of the former national boards of the Screen Actors Guild and the American Federation of Television and Radio Artists — will meet on a quarterly basis. Leaders of SAG-AFTRA moved last week to establish the union’s initial 24-member executive committee, which will meet this weekend in New York. Under the merger agreement the SAG-AFTRA executive committee is chaired by co-presidents Ken Howard and Roberta Reardon. The merged union has about 160,000 members. 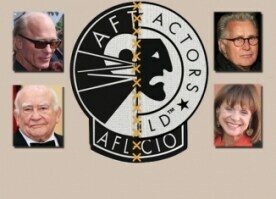 The current leaders of SAG-AFTRA will be up for election in summer 2013. Merger backers touted the combined SAG-AFTRA as having more power than the individual unions and asserted that combining the unions is a first step toward combining the separate SAG and AFTRA health and retirement plans. Of SAG members voting, 82% backed the merger while 86% of AFTRA members casting ballots endorsed the combo. The key SAG-AFTRA master contracts expire in March 2013 for commercials, with talks expected to start in October, and in June 2014 for primetime and features. Hmmmm….They give their vote count, it’s just no one was allowed to be there to verify their count!!!! For the time being, at least, the newly rechristened Screen Actors Guild-American Federation of Television and Radio Artists will have to go by its former name, the Screen Actors Guild, in a court battle with members protesting its recent merger. A U.S. district court judge denied a stipulation this week to change the name of the defendant in the suit to reflect SAG-AFTRA’s new moniker. Unless the plaintiffs agree to refile their lawsuit listing SAG-AFTRA as the defendant, the old name will have to stand. 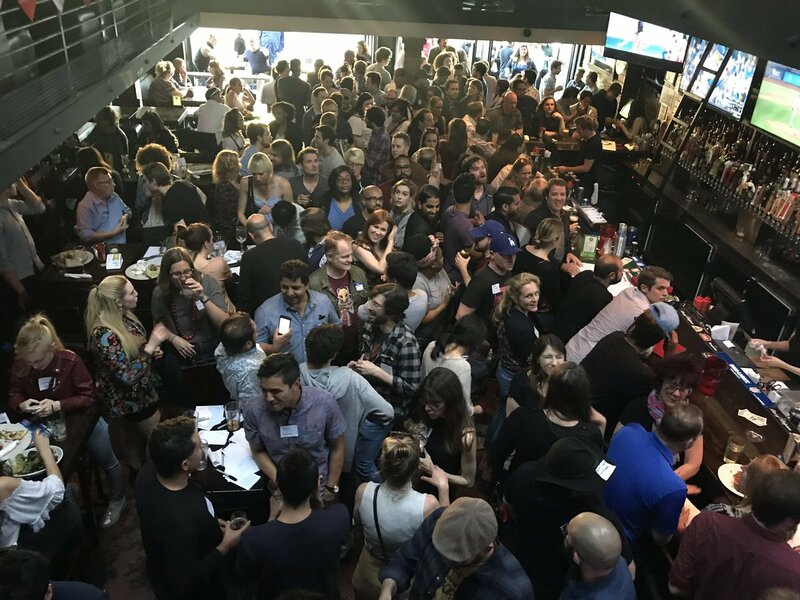 Last month, the union’s membership voted overwhelmingly to approve joining together with AFTRA. Consequently, the guild had wanted the lawsuit filed by a collection of dissident members to reflect its new name and had filed a stipulation to that effect. “What the judge did is he told the parties that the proper way to change the name in the lawsuit was not through a stipulation, but by the plaintiffs amending the complaint,” Bob Bush, an attorney for SAG-AFTRA, told TheWrap. David B. Casselman, an attorney for the plaintiffs, did not immediately respond to requests for comment. The suit in question alleges that SAG’s board of directors breached its fiduciary duties by failing to conduct a study detailing the effects of the proposed merger on SAG’s pension and health benefits. Among the 68 SAG members listed as plaintiffs are Martin Sheen, Ed Harris, Valerie Harper, Diane Ladd, Edward Asner, Joe Bologna and Nancy Sinatra. In a separate order, Judge S. James Otero ruled that SAG-AFTRA had until April 25 to file a response to the suit. In the March ratification vote, 86 percent of the AFTRA ballots submitted were in favor of merger, while 82 percent of SAG ballots endorsed merger. Co-National Executive Director and former AFTRA NED Kim Roberts Hedgpeth departs, leaving White as sole NED of the new union – and underscoring the predominance of SAG staff in the merged union’s executive ranks. Less than three weeks after SAG and AFTRA merged, SAG-AFTRA co-national executive director Kim Roberts Hedgpeth is stepping down, The Hollywood Reporter has learned. The departure of the former AFTRA NED makes her SAG counterpart, David White, the sole NED of the merged union. Hedgpeth’s exit is effective April 30. White, a graduate of Stanford Law School and a Rhodes Scholar, served as SAG general counsel from 2002-2006 and NED from 2009 until merger. Hedgpeth is a graduate of Harvard University and Georgetown University Law Center. She worked for AFTRA from 1981 until merger, save for a three-year period from 1998-2001. Hedgpeth said she will turn her attention to “preserving and protecting my late father’s musical legacy” before engaging in other professional pursuits. Her father, composer Howard A. Roberts, died last March. Although it occurred sooner than might have been expected, White’s emergence as sole national executive director of the merged union is not an anomaly. A close look at a list of SAG-AFTRA executive staff shows that almost every top-level department is run by a former SAG staffer or by co-equal SAG and AFTRA veterans. 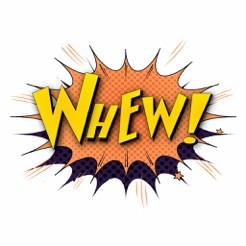 Thus, NED White, assistant NED for communications Pam Greenwalt, senior adviser John McGuire, chief financial officer Arianna Ozzanto, chief information officer Erin Griffin, assistant NED for locals Linda Dowell and assistant NED for awards Kathy Connell are all former SAG executives. In contrast, the only former AFTRA executives at the top without a parallel SAG appointment are associate NED Mathis Dunn, and two assistant NEDs for areas where AFTRA had sole jurisdiction: Mary Cavallaro (news & broadcast) and Randall Himes (sound recordings). Other top staff are the assistant NEDs of contracts, Ray Rodriguez (formerly SAG) and Joan Halpern Weise (AFTRA); and the assistant NEDs for organizing (Phillip Denniston, AFTRA) and for industry relations (Deborah Skelly, SAG). The legal function is a somewhat special case. Chief administrative officer/general counsel Duncan Crabtree-Ireland, formerly SAG’s GC, has a more senior title than assistant NED / chief labor counsel Thomas Carpenter, formerly AFTRA’s GC. However, both of them report directly to White, as do the other executive staff. In the elected leadership, most positions draw on coordinate SAG and AFTRA officers and board members. A key exception is the number two officer position – the executive vice president – which is held by former SAG leader Ned Vaughn. He, and co-secretary-treasurer Amy Aquino, originated the merger campaign in 2008 with the formation of their Unite for Strength slate. This makes SAG-AFTRA Co-National Executive Director David White the sole NED of the newly merged union. LOS ANGELES, CA – April 16, 2012 – SAG-AFTRA today announced that Kim Roberts Hedgpeth has decided to step down as SAG-AFTRA Co-National Executive Director on April 30, after 31 years of service to union performers, recording artists and broadcast professionals working in the entertainment and news media industries. Hedgpeth had served as AFTRA’s National Executive Director since 2005. During her career at AFTRA, she served as Chief Negotiator for AFTRA’s national agreements for network news, scripted programming, non-dramatic programs, sound recordings and radio broadcasting, as well as hundreds of local TV and radio station staff and freelance negotiations for various AFTRA Locals. She held a variety of positions in the union since first joining the AFTRA staff in 1981, including Co-Executive Director of the New York Local, Executive Director of the AFTRA San Francisco Local/SAG San Francisco Branch, AFTRA Assistant National Executive Director for News and Broadcast and AFTRA’s Associate National Executive Director. Hedgpeth is a graduate of Harvard University and Georgetown University Law Center, and from 1998 to 2001, she took a brief hiatus from the Union to serve as Director of Labor and Employee Relations at Harvard University and Vice-President of Human Resources for Safe Horizon in New York City.